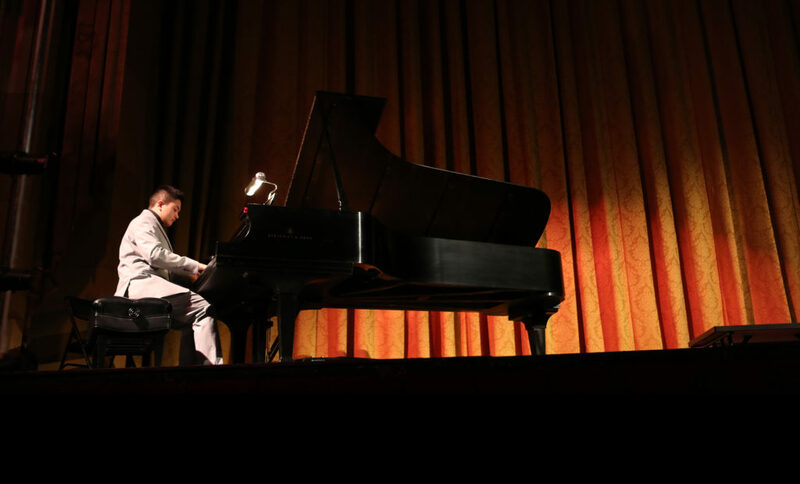 A piano student at the St. Peter’s Community Arts Academy performs at a student recital. GENEVA – Practice, practice, practice. The popular Sounds of Christmas Concert featuring the four Academy choirs will take place from 7:30 to 9 p.m. Friday, Dec. 7, at St. Peter’s Church, 149 Genesee St. Tickets are $7 for adults, $6 for senior citizens and free for students and children under 12. On the afternoon of Sunday, Dec. 9, from 3 to 5 p.m., students in Julianna Gray’s violin and Glenna Curren’s cello programs will perform in the Strings Recital at St. Peter’s church. The recital will feature an array of age and talents. Another recital will take place April 28, 2019. On Thursday, Dec. 13, piano students will give holiday recitals at 5 and 6:30 p.m. at St. Peter’s. The choirs at the academy perform regularly and the Dance Studio will stage recitals in June 2019. The Arts Academy offers lessons and performances in children’s choirs, piano, violin, cello, organ, voice, dance and guitar and now serves more than 200 students from 16 area schools in a five-county area in large part due to the dedicated core of instructors and staff, all of whom are professionals in their field. Embracing its theme of “Arts for All,” the Academy is open to everyone from infants to adults and is not affiliated religiously although St. Peter’s Episcopal Church sponsors and supports the academy.